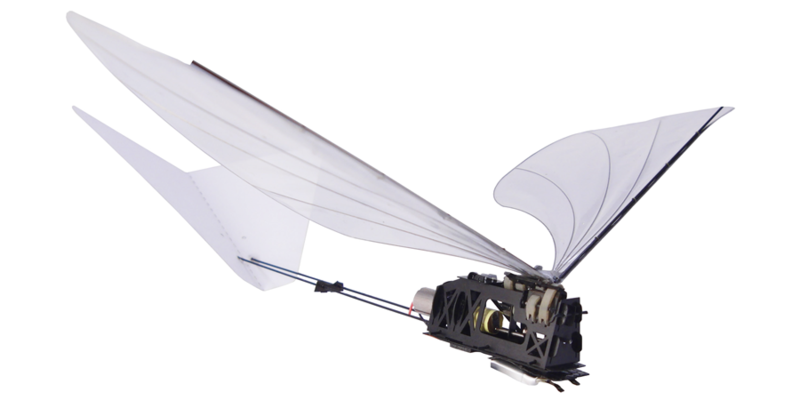 Abstract — In this work we developed a unique flapping-wing micro air vehicle (FWMAV) whose major components, i.e. the motor, transmission mechanisms, and wings, are rapidly interchangeable. When coupled with a test stand that includes a 6-axis force sensor, encoder, power-recording capabilities, and high speed video, the result is a highly versatile experimental platform on which system integration studies can be conducted. The paper below provides a detailed description of the design and fabrication of this FWMAV whose interchangeability of parts is mostly accomplished through a novel system of tabs, slots, and retaining rods. Results of a study on energy saving elements in the transmission mechanism as well as an exploration of this effect for different wing sizes are also presented. Finally, the implications of interchangeable parts on the creation of customizable flyers are discussed.